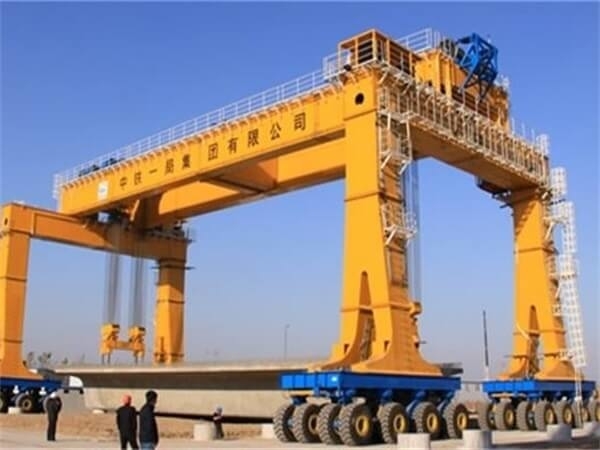 Rubber tired gantry crane is usually called RTG. 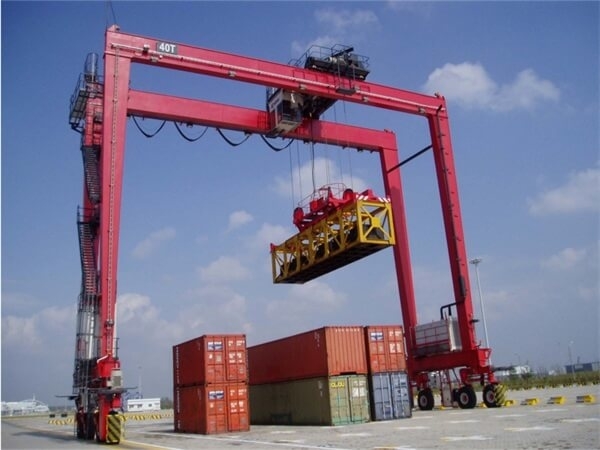 Rubber tired gantry crane is flexibly moved by its own rubber tires for transshipping containers in container storage yards or complete the hoisting, handling and loading of the box girder in the construction site. 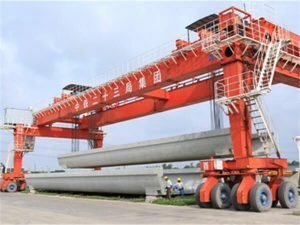 Adopts tyred walk line technology, the machine go line, steering, lifting all by the hydraulic pressure drive, to achieve straight, oblique line, transverse line and other modes of walking, can meet all the preset box girder handling operation. 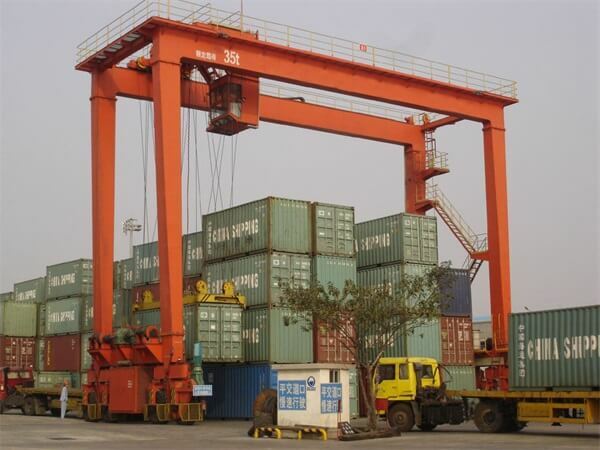 Rubber tyred gantry crane can conduct cross-span work. 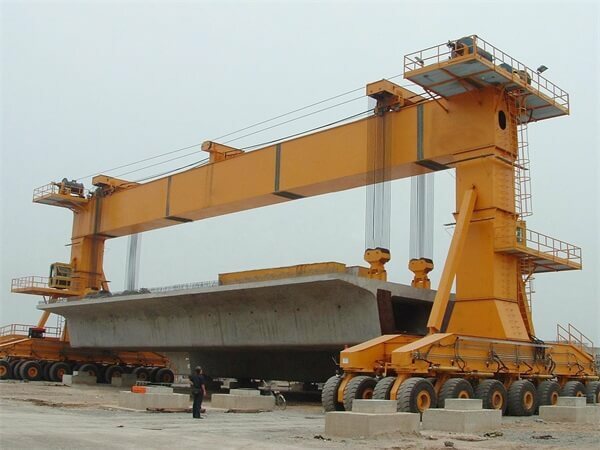 It can lift the intergrally assebled launching gantry up to the bridge, also can lift the precast girder onto the girder trolley accordingly. It's advantages are the adaptability of the equipment, high efficiency, small footprint and no need to lay the track. 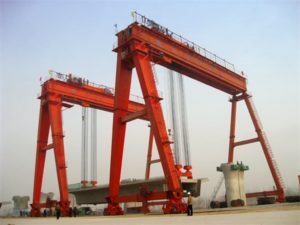 In the construction of China high-speed road, the preset field use the equipment to complete the hoisting, handling and loading of the box girder. 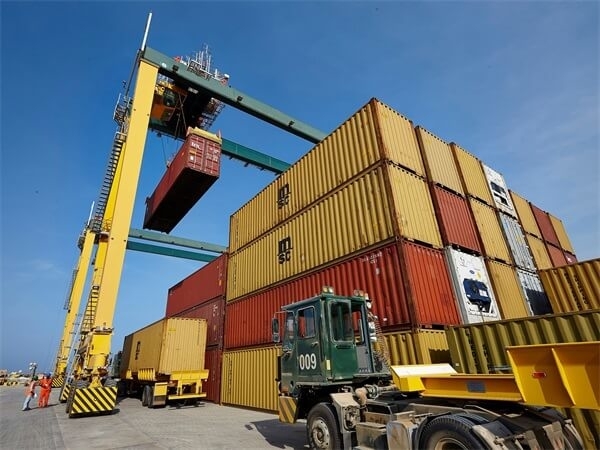 It's generally used to handle containers, boats/yacht, large component at the loading/unloading places and container yard. 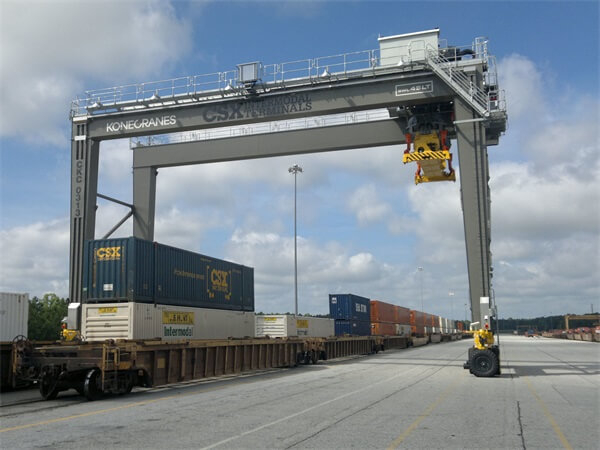 This crane is fitted with multiple hooking point’s spreaders to meet the needs of different lifting situations. The whole crane can carry out 360° steering with flexible movement. Full hydraulic drive for crane traveling mechanism and lifting mechanism with step less speed change. The long traveling use hydraulic closed circuit with good transmission efficiency, less fault. There are safety indicator and overlord limiter to ensure safety of operators and products. All operation are controlled by CAN-BUS control.